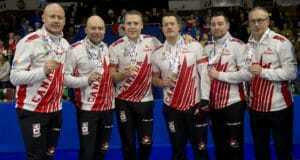 Matt Wozniak and his Team Mike McEwen ’mates are living proof how what commitment and effort can do for a young curling team. 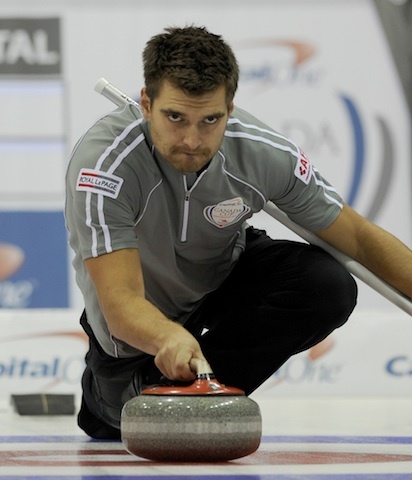 Wozniak throws second stones for the run-away leaders in the men’s standings on the 2011-12 Canadian Team Ranking System, a team that is playing well beyond its relative youth against the greybeards who’ve dominated for so long. But it shouldn’t come as a surprise, because all four players showed in junior competition that they were committed to the game and eager to make a quick ascent to the next level. Wozniak, for instance, skipped the Manitoba provincial junior men’s champion team as a 17-year-old, finishing a respectable 5-7 at the 2000 junior nationals in Moncton. He’s a year-round athlete, too; he played for the provincial youth baseball team as a 16-year-old. Since hooking up with McEwen, third B.J. 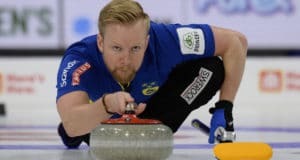 Neufeld, lead Denni Neufeld and coach Chris Neufeld, Wozniak has joined the upper echelon of front-end players in the country, and the McEwen squad has been dominant on the World Curling Tour, winning five events this season, including a Grand Slam victory in Kingston, Ont. Now, it seems, it’s just a matter of time before this team takes the next step and claims its first Tim Hortons Brier Purple Heart. 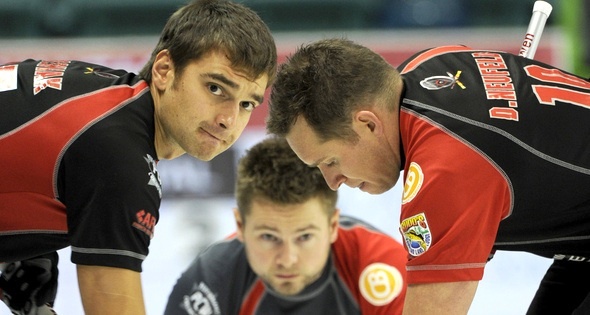 Team McEwen opens play at the Safeway Select Manitoba men’s championship on Feb. 8 in Dauphin.